From this conviction, Africa RISING has developed guidelines for capturing gender-sensitive stories which focus on gender-aware selection of sources, stories and visual material, the elimination of stereotypes and the use of fair language. Practical case examples are given for readers. 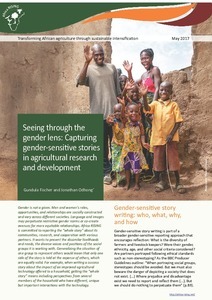 The authors analyse two example stories and critique of a selection of photos published by Africa RISING for their level of gender sensitivity. 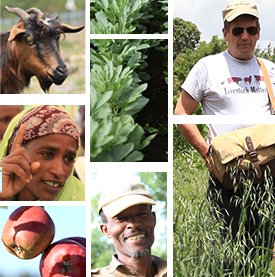 This resource is meant to be a quick reference guide for partners implementing the project as they work with smallholder farmers to gather stories. It will also be used as foundational instruction material for subsequent trainings provided by the project communications team on how partners can effectively document success stories which are a standard requirement for all United States Agency for International Development (USAID) Feed the Future grants like Africa RISING. Tags: AfricaRISING, reporting guidelines, USAID. Bookmark the permalink. Previous post ← Happy New Year 2010 Ethiopia!